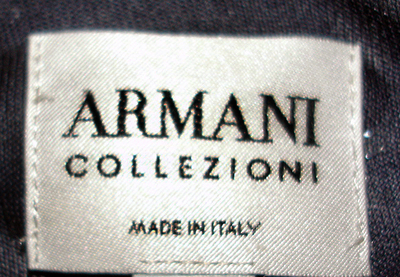 Many clothes cost a fortune, simply because they were made by a popular designer such as Armani, Jerry Webber, Karen Millen etc. Are these products any better than lesser known or cheaper brands? Is a designer label important to you, and do you think they are worth the price tag? I don't think designer labels are worth any more than any other brand of clothing, either in terms of fashionability or quality. In most cases I think the affordable brands look far better because they are more practical everyday wear. Designer brands are usually there to make a statement, but aren't usually things you would wear on a day to day basis. To me, this makes them less value for money because you are paying more, but using them less. It is all in the brand name. It also depends on the quality of the item in question. Agree, some of the designers aren't worth it while others are. The designers I love, and they're worth every penny: Louis Vuitton, Burberry, Prada, Jimmy Choo and Ted Baker to name. Some brands are made from a better choice of fabric than others, and can be made better than others. As a general rule though, I personally don't think designer labels are worth the expense. What's the most cringeworthy pick up line you've ever heard?